We are in Battle Mountain for the World Human-Powered Speed Challenge, which is a contest to see whose bicycle can go fastest on five miles of straight, flat Highway 305 about 15 miles south of town on the road to Austin. Battle Mountain is on the heavily-traveled I-80 and all, but it has never been known as a destination for enthusiasts of any kind except hunters, who hold an annual chukar hunt here each fall. Yet Battle Mountain is world-famous (in a small way) for hosting this most prestigious event in the world of speed bicycling each year. This isn’t bicycling the way the paper boy did it in your grandfather’s day, this is bicycling the way Elon Musk might do it tomorrow. The riders start by staying fit. Then someone — more likely a team of someones — designs a combination of sprockets, gears and a body support, squeezed inside an aerodynamic fiberglass skin created for the tightest fit possible. There’s no standard design for assembling the parts (including the cyclist), and in fact within the limitations of the materials and given the pursuit of speed for speed’s sake, there’s a wide variety of approach. One of the most enjoyable parts of this competition is watching the cyclists struggle into their recumbent steeds. Some are able to see ahead through a tiny ‘windshield’ slit in the skin, while others lie so nearly horizontal that their view of the road is delivered from an outside camera to a small video receiver clipped to the tiny handlebars. Others require the driver to slither into the pod and inch into place among, between and around the internal machinery. At least one such driver ends up riding backwards, steering with the help of a camera facing forward, another is facing forward but lying on his belly in a kind of hammock, and kicking straight forward and straight back with his feet instead of in circular fashion. It began in 1973 when Chester R. Kyle, a professor at Cal State Long Beach, offered University credit for a lab project studying the friction and drag caused by different types of bicycle tires. The students discovered to their surprise that the tires don’t make much difference; it is wind resistance that causes 90% of the drag at racing speeds. So they set about reducing wind resistance and in late 1974 demonstrated a fully enclosed bike — and broke the bicycle speed records for 200m, 500m, 1000m and 1 mile from a flying start. 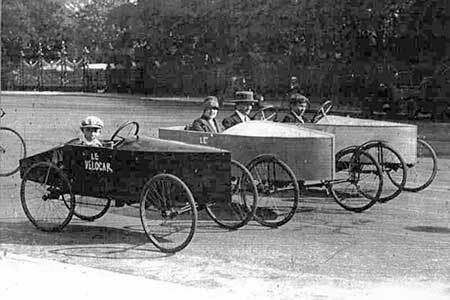 An All-Comers race was held April 5, 1975 on a quarter-mile drag strip and “fourteen of the strangest pedal-powered vehicles in history” participated. The next year there were 26, and 50 or 60 were common after that, with races conducted by enthusiasts at various places around the world. 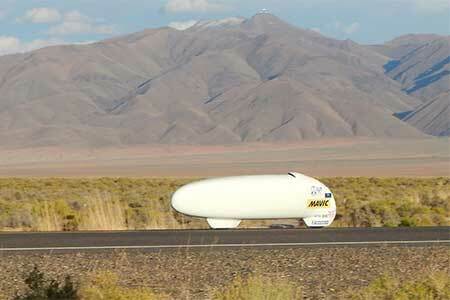 In 1994 an engineer named Matt Weaver built a fully-enclosed bicycle he called “Cutting Edge” and started looking for an ideal race course to attempt the world speed record. 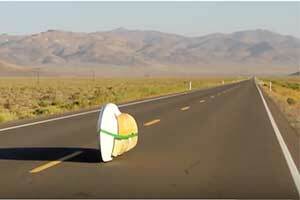 He traveled more than 2,000 miles in California and Nevada searching for a long, straight flat stretch of paved road and found four of them. Three were unsuitable for various reasons, but one was perfect: Battle Mountain. To provide a very smooth roadway surface for drivers and for World Human-Powered Speed Challenge participants, NDOT utilized open-grade paving on certain sections of State Route 305. In open-grade paving, aggregates (the small gravel used in roadway surfaces) is mixed with an asphalt binder at a mixing plant and rolled down together, producing a very smooth new roadway surface. Roads with lower comparative traffic volumes such as Nevada 305 are often resurfaced using the cheaper chip seal method, in which the asphalt binder is laid down and aggregate gravel then goes on top as the new roadway surface. 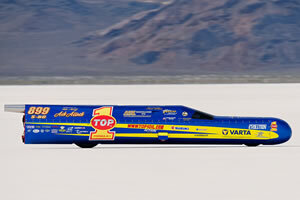 Make that eight world IHPV speed records: on Wednesday afternoon, after we had left for home, Todd Reichert of Canada broke his own record (86.65 mph, set last year breaking the Delft/Amsterdam team‘s record of 83.13 mph set here two years previously.) 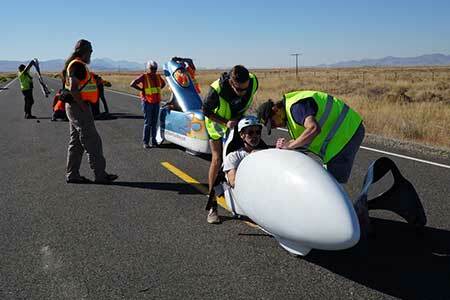 with a speed of 88.26 mph and there were still two more days to go. 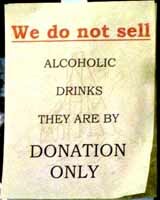 Sheriff Stone explains the house rule: you can’t buy drinks here. We visited Sheriff Stone at Gold Point, about 15 miles to the south and west of Lida Junction on US 95, where the once-fabled Cottontail Ranch sits empty and dejected behind a chain link fence. Red Dog Lil was still at work in Goldfield, but the bar was lively with visiting dirtbikers and atv jockies, and the good Sheriff, who is also Gold Point’s leading interior decorator, was kept busy. “This coming November 5, 2011 at 8:03 in the morning I will turn 1,893,456,000 seconds old,” he told us, sending us running for the calculator (60 years). “I remember that day very well,” he said. “After coming out from hiding for 9 months I remember being spanked for no reason at all!! I was so mad I didn’t talk to anyone for a year!! Rest and refreshment await at Gold Point. He also explained that since he can’t sell alcohol — Gold Point doesn’t have a liquor license — he gives it away to the philanthropists who line the bar and contribute to the Gold Point Restoration Fund. I am something of a connoisseur of little-known championships held in out-of-the way places, having won the World 2-Man Wheelbarrow Racing Championship held on an obstacle course outside a saloon in a small Nevada town a few years ago. Just where we were and why we were there escapes me, but Wayne Thomas was my co-champion, and maybe he remembers more about the event than I do. I seem to recall we were hatching our strategy as we waited for the starter’s gun but it turned out there weren’t any other competitors so we won by default. We didn’t get the big silver buckles we should have, but as far as I know there weren’t any more such competitions, and so we still reign as Champions of the World in the 2-Man Wheelbarrow Racing category and damned proud of it. 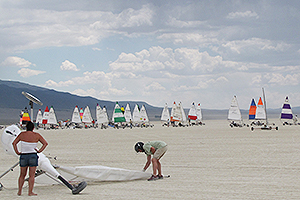 And so when Robin and I went to the World Championship Landsailing Championships on the Smith Creek Playa southwest of Austin a couple of years ago it was with a swagger. Landsailing is like sailing on water except it’s done on flat, smooth and solid ground with sleek one-man craft fitted with wheels and sails. 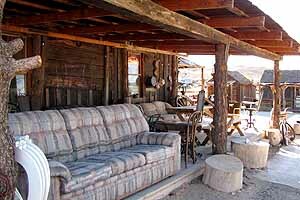 At this remote location on Highway 722 between Austin and Middlegate, dozens of elite landsailors from around the world had gathered to see whose dirtboat would go fastest on the playa. Well, the wind did come up eventually, and the little vessels skimmed across the playa like squirrel-tailed torpedoes — quite wonderful to see! I have been collecting World Championships ever since. 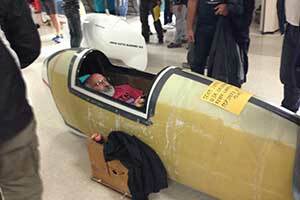 Human powered bicycle speed racing is a most unlikely spectator sport, and watching it isn’t easy. The instructions for spectators spell out the difficulties: limited parking and no services. Heats are conducted early each morning and late each afternoon of race week, with short intervals during the active periods to let the highway traffic through. There is no parking allowed along the road because the bikes do crash from time to time (hay bales are placed as bumpers where needed) and it’s better they don’t crash into a parked car. City — reporting party stated that she had received some money for payment of goods, but believes the money is counterfeit. Officer inspected the money and reported that it was legal tender. Officer located a deer that had been struck by a vehicle. The deer was removed from the roadway. Officer received a report of two dogs running at large and one of them had been struck by a vehicle. Officer reported that the dogs had been picked up by a passing motorist. The injured dog was taken to a local veterinarian and the other dog was placed into the dog pound. City — officer assisted an individual who had gotten her wheel chair stuck in the gravel. The report was given to Ely Tribal Police. City — officer contacted the parties involved who were arguing over child custody. They were advised to follow the child custody order issued by a local judge. Reporting party stated that an individual had struck a vehicle with a baseball bat. The individual had fled the area. Investigation continues. There are shuttles from town, but you can’t see the whole event at once no matter where you go or how you get there. 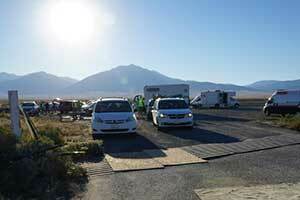 Our solution was to drive all the way to the launching area (the race is northward, back toward town). Here we watched a half dozen bikes roll out onto the pavement, each enclosed rider pushed one at a time to a sometimes wobbly start and released with a chase car following behind in case of mishaps. The rider has most of the 2-1/2- or 5-mile run to get up to speed and are then measured over the final 200 meters. While the teams in the next heat were preparing their bikes, traffic was again allowed through and we went with it back toward town. There are catch areas at 2-1/2 and 5 miles, and even a small set of bleachers where you can sit and watch the bikes flit past. It is an odd and unaccustomed — and beautiful — sight that catches the eye and excites interest. We are coming back for more next year. It’s not that we have a favorite among the teams (six of them from Universities) that fielded bikes and riders, we don’t. We just like the idea of it, and the way that idea has become reality — all the thinking and tinkering and craftsmanship and determination that has not become a Burning Man, just an astonishing once-a-year spectacle on this sparsely-traveled road. A few days ago I found myself in Fernley, the new colossus of Lyon County. You probably already know that Fernley is the fastest-growing community in the fastest-growing county in the fastest-growing state in America. Pahrump is bigger, better-known, and has been on the fast-growing list longer, but Fernley is now growing twice as fast (18.7% vs 9.1%), with population passing 17,000 on its way to the moon. 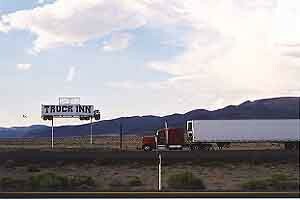 Until recently the biggest attraction for travelers in Fernley was a tank of gas and a burger to go, but that is changing now. Fernley’s recent growth has been stimulated by the growth and rising home prices in Reno, 30 miles west, and by industrial development which has attracted major companies: amazon.com and Wal-Mart both have major distribution centers here, and Trex, the company which transforms recycled and reclaimed plastic grocery bags, pallet wrap and waste wood into composite decking, has a plant here. Fernley’s quietest secret: It’s 100 years old this year. Fernley’s most embarrassing secret: No-one knows where the name came from. It’s only Burning Man in the sense of burning muscles and burning ambition and burning the candle late to experiment with weight distribution and aerodynamic purity for the sake of speed. We’ll probably stay again at the pet-friendly Battle Mountain Inn; the Super 8 serves as unofficial home camp for many of the teams and there are a handful of other motels mostly booked well in advance. We’ll dine out at El Aguila Real on the Main Street, the Hide Away steak house on Broad Street across from the Civic Center, which serves as headquarters for the event between races. The Owl Club is an All-American cafe facing the railroad tracks on Front Street, and the Colt is at the far western edge of town. 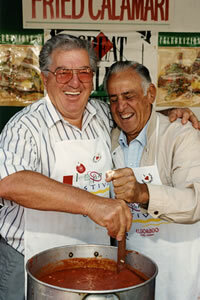 The Cook House Museum is at 855 Broyles Ranch Road, a short distance west of the Civic Center and well worth a visit. An Indian Casino is in the permitting phase, awaiting construction across I-80 to the south of town, and that will doubtless add to the welcome. 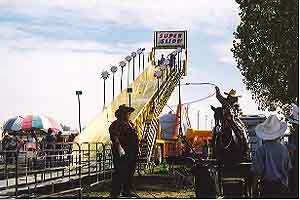 My kids have always liked going to Fallon, because we always have a good time, and this was the weekend of the Hearts O’ Gold Cantaloupe Festival at the Churchill County Fair Grounds on the south side of town (take Taylor Street). Parking is plentiful and free, and inside the gate we found a small town carnival, with food booths and rides, a performance tent that featured a cowboy trick roping troupe and a stage hypnotist, an open air stage for music, and two booths near the exit selling melons. Chris enjoyed knocking dad’s hat down over his eyes on the bumper cars, and dad enjoyed the easy atmosphere, the friendly crowd of mostly local people, and the mud volleyball games. 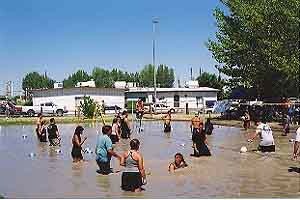 This is a tradition at the cantaloupe festival and involves a lot of beer and splashing around in the mud. Great fun to play, obviously, and entertaining to watch for ten minutes or so. Hard-riding equestrian events were also taking place at the adjacent arena before an appreciative local crowd. 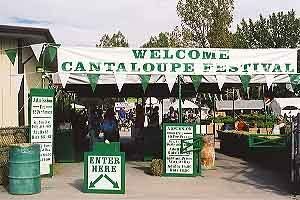 It was a pleasant excursion for both of us — my only regret was not finding the cantaloupe daiquiri booth until late in the day and Chris had no regrets at all. For those who like to greet the dawn with a latte in hand there is Bakker’s Brew, just south of the Civic Center and around the corner to the west. I am in awe of their willingness to open at 4:30 am, and I support it enthusiastically. 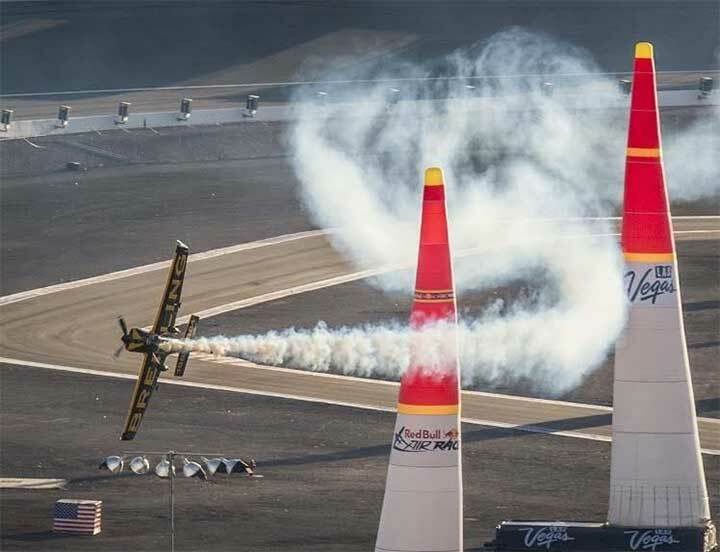 One of the big surprises this year was the Japanese team, the most successful first time team ever, with Ryohei Komori going 82.03 mph on his final run. It is conceivable that on a day not far off, when all the factors are benign, a human being from Japan or Canada or somewhere else will achieve 90 mph on a bicycle — and when that happens it will be in Battle Mountain. My report is that of an appreciative outsider, and I’ve drawn on this meticulous record of the event by an appreciative insider for some of the facts and some of the photos above, on this highly informative site for others, and for the terrific action photos from the Flickr posts of Jeff Wills. Here is jnyyz’ comprehensive wrap-up of the event. 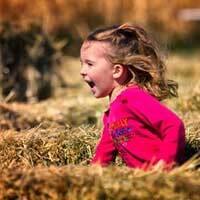 Too much fun for kids in Winnemucca, so bring the whole family to the Lazy P Adventure Farm for the Fall Farm Festival every Saturday and Sunday in October. You’ll find it about 5 miles southwest of town at 8280 Grass Valley Road. What was once an ordinary farm is now an amusement park for kids and their grown-ups with both Harvest and Halloween themes represented. For the harvest there are pumpkins, for Halloween there’s the terrifying Barn of Terror. 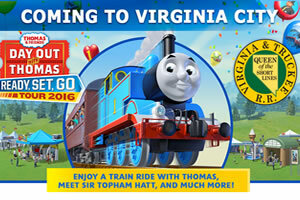 It’s a “Haunted Attraction” and is not recommended for children under 6. After watching this video full screen I think I’ll stay with the 5-year-olds. 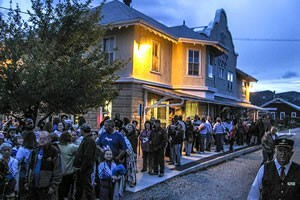 It’s only open four nights, from 6:30 to 10:30, last ticket sold at 9:30: October 15, 22, 28 & 29. There are two Corn Mazes opening October 1, open from 10 am to 6 pm every Saturday and 11 am to 6 pm every Sunday in October. There’s a mini-maze for little kids, and a 6-acre maze commemorating the 50th Anniversary of Charley Brown and the Great Pumpkin. This one you can also attempt in the dark (non-haunted, with flashlights) on Friday and Saturday nights in October from 6:30 to 10 pm, last ticket sold at 9. Those are the star attractions, but they’re not the whole story. 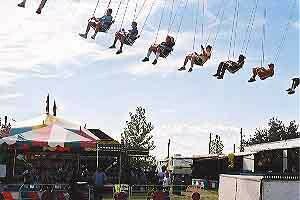 There’s a petting zoo, a tether ball, duck races, a Bounce House, the Cow Train, Hay Wagon Rides, Horse Rides and lots more — about every way there is to have fun on the farm, and no chores to do. 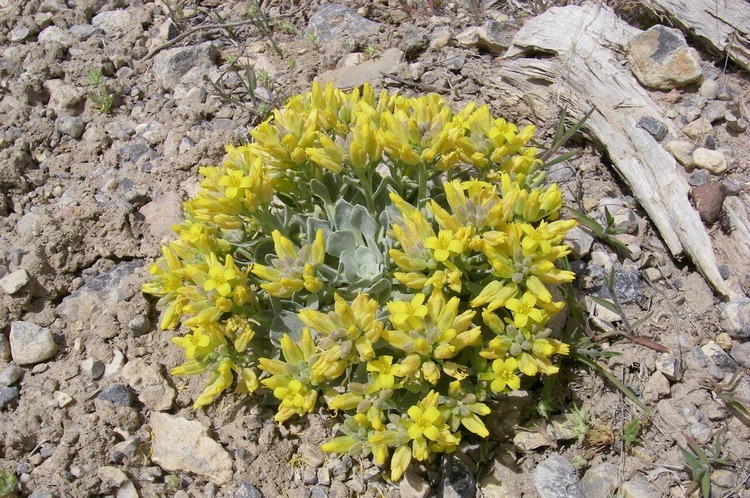 What They’re Saying About Us: National Geographic examines the effects of drought in Nevada. 50 paintings by Darlene Grace Novy-Zuelke (1931-2011 will be exhibited for sale at Maynard Station in Gold Hill. The opening will be Friday, October 7 (4-8 pm), with refreshments and a no host bar, and continues Saturday (12-6pm) and Sunday (2-6 pm). 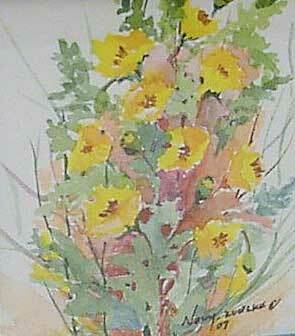 The paintings are mostly landscapes with a few floral subjects and abstracts. A second sale will be held later in the fall. On Nevada’s eastern border go to Wendover and check out Mike Cook’s Bonneville Shootout – Rain Date out on the salt flats on October 10th through 14th. 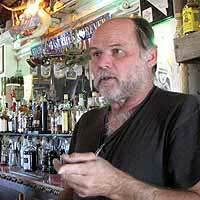 Follow Interstate eastward to Lamoille (just outside Elko) for the Lamoille Harvest Festival on October 1st . . .
will start on October 10th and last through the 16th. Reno also hosts the Animal Ark Harvest Festival on October 15th. On October 22nd and 23rd come on out the Crossroads of the West Gun Show. The Wrangler/Professional’s Choice ACTRA National Finals at Reno-Sparks Livestock Events Center will commence on October 16th and will last through the 22nd. On the 21st and 22nd of October is the ULTRA4 Nitto National Championship at Wild West Motorsports Park. the Spartan Race 2016 World Championships on October 1st and 2nd. Come see the Tahoe Icemen at the South Lake Tahoe Ice Arena through October 2nd. One could go to TEDx South Lake Tahoe on October 5th buuut it’s sold out, make sure not to miss it next year! The Lake Tahoe Marathon & Run is on October 6th through the 9th. Missoula Children’s Festival – Alice in Wonderland at the Eureka Opera House on October 7th. 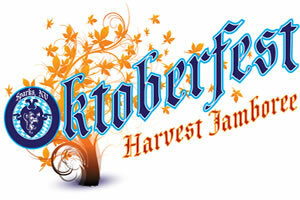 Then on October 15th is Eureka’s Harvest Festival. 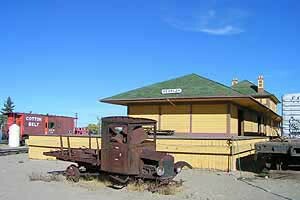 As 50 reaches Nevada’s eastern border you find Ely and on October 1st, 8th, 15th, 22nd and 29th you can take the Haunted Ghost Train at Nevada Northern Railway. . . Down south in Pahrump is the 2016 Grape Stomp on October 1st and 2nd. The Pahrump Rock and Gem Show is scheduled for October 14th through the 16th. On the October 21st through the 23rd is the 7th Annual Pahrump Pumpkin Days. . . 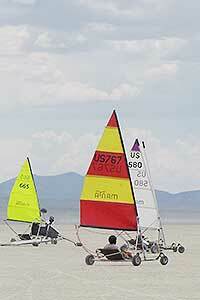 In the southeast of Nevada the Mesquite Fine Arts Invitational will run from October 3rd through the 29th. On October 30th Mesquite hosts it’s Valley Rally Golf Tournament at Oasis Golf Club. . . 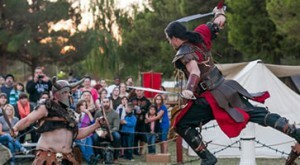 In Las Vegas check out the Age of Chivalry Renaissance Festival on October 7th through the 9th. 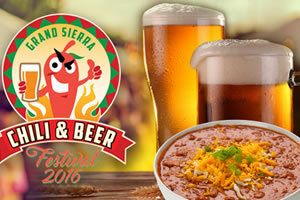 The 11th Annual Las Vegas Culture Fest Food and Music Festival is on October 14th and 15th. 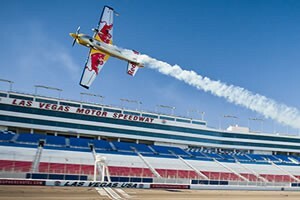 Then you can see the Red Bull Air Race World Championship on October 15th and 16th. . . Next door in Henderson is the 7th Annual Las Vegas Aki Matsuri Japanese Festival on October 8th. Also in Henderson come on out to Family Promise of Las Vegas Food & Jazz Fest on October 15th. . . In Primm checkout the SXS Round 10 MX race on October 21st through the 23rd. . . Over in Boulder City go to the Terrain Las Vegas Mud Run on October 8th. 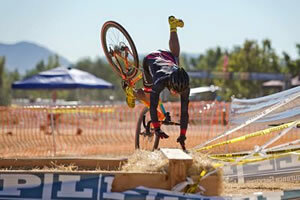 And on October 14th and 15th go to the Triple Dare – Run the Canyons. 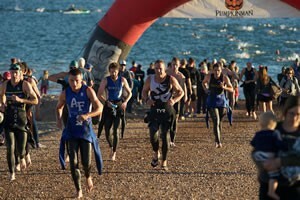 Then on October 22nd go to the Pumpkinman Triathalon.